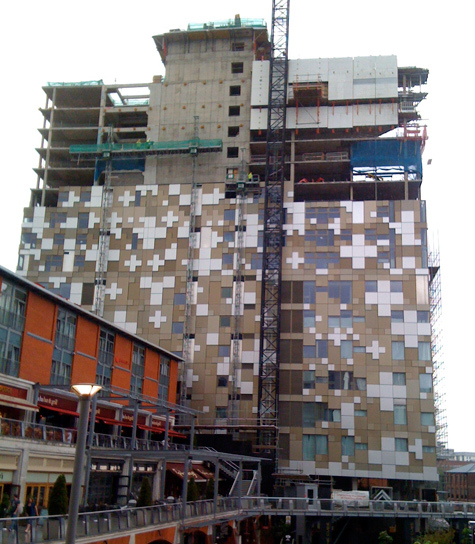 The Cube – Modern Masterpiece or White Elephant? The final phase of The Mailbox development is nearing completion. 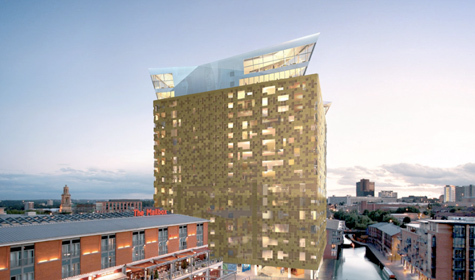 Named The Cube, the mixed-use development will provide a new hotel, with more shops, offices, apartments, bars and restaurants around Birmingham's canal district. Many residents have contacted me to say the look of the building is nothing like they expected and could turn out to be an embarrassing mistake. It was a similar story when the Mailbox itself was constructed and of course when the silver disc covered Selfridges building opened. But in time, Brummies seem to have taken both to their hearts. So take a look at the artists impression, followed by the actual construction of the Cube. What do you think?